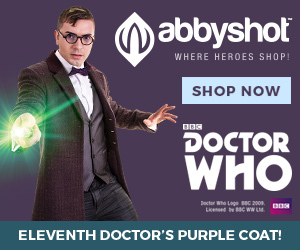 Have a jelly baby, reverse the polarity of the neutron flow, get out your recorder, power up your sonic screwdriver and pick out your best bow tie. It is time for the 50th Anniversary of Doctor Who. Judge Matthew Sciarrino and I sat down to talk about Doctor Who. The good judge dutifully started watching Doctor Who, beginning with the 2005 series to present day. He also watched many of the classic episodes, including the Three Doctors, Trial of a Time Lord, plus others from the early years. What can lawyers learn from Doctor Who? For starters, Trial of a Time Lord has an interesting spin on trial presentation technology. Jurors today watch crime shows and documentaries where a conflict is neatly resolved in 45 minutes. Those same jurors expect attorneys to educate them with visual technology, whether it is an iPad App with exhibits or CGI recreations of events. 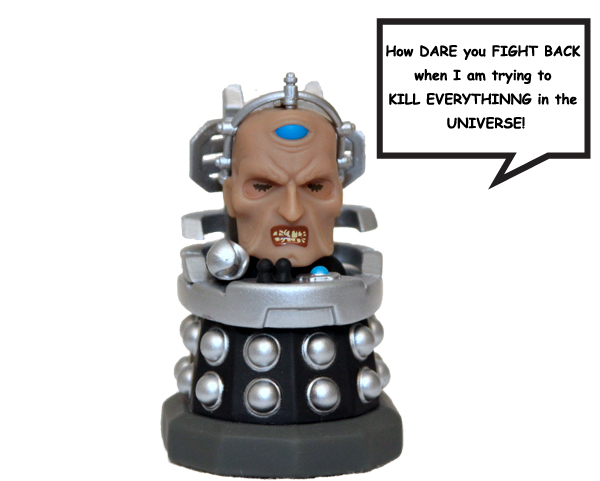 Davros in The Stolen Earth took a rather “how dare you be so violent” tone after the Doctor’s companions decided to fight back against the Daleks. This always struck me as odd, because the Daleks and Davros planned to use a “Reality Bomb” to exterminate all life in the universe. Those who attempt genocide have no right to claim to be victims against those who fight back. It is well-established in common law self-defense to use lethal force against those attempting to use lethal force on you. Moreover, it is codified in the UN Charter that countries have the right to self-defense. As such, Davros should not be surprised that human beings would rise up instead of line up to be slaughtered. Do People “Upgraded” To Cybermen Still Have Civil Rights? 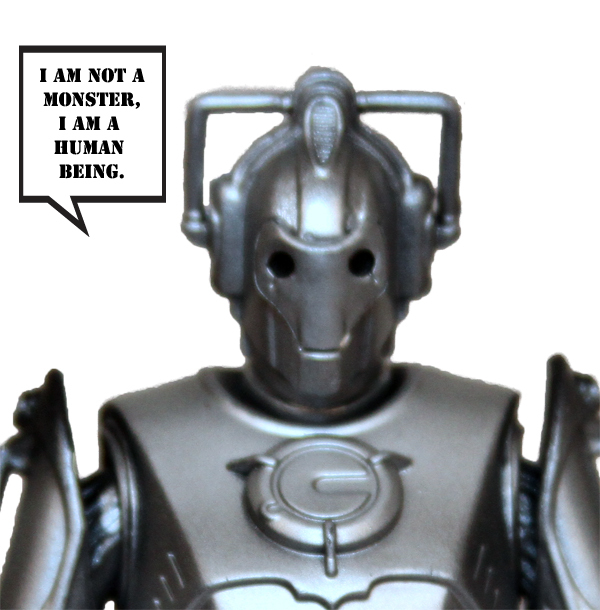 Cybermen were assimilating people long before the Borg on Star Trek. For those poor souls who have their brain cut out, placed in a robot body, and emotions blocked, do they still retain any civil rights? I will go with no, on the simple fact their bodies have been destroyed and they are no longer legally alive. Do the Silurians and Sea Devils have superior claim of ownership over the Earth than human beings? Or did they abandon the Earth? Most abandonment laws require the owner clearly demonstrates surrendering property rights and a demonstration the owner knowingly gave up control over the property. See, Abandonment. Silurians outright leaving the Earth for another planet clearly shows abandonment of the Earth. It gets a little more complicated with those who went into suspended animation. However, since the Silurians and Sea Devils went into suspended animation in excess of 65 million years, they really have no valid claim to the entire planet. This does not mean the inhabitants could not share the planet. There are tons of places where humans would not survive that reptiles and sea creatures would thrive. 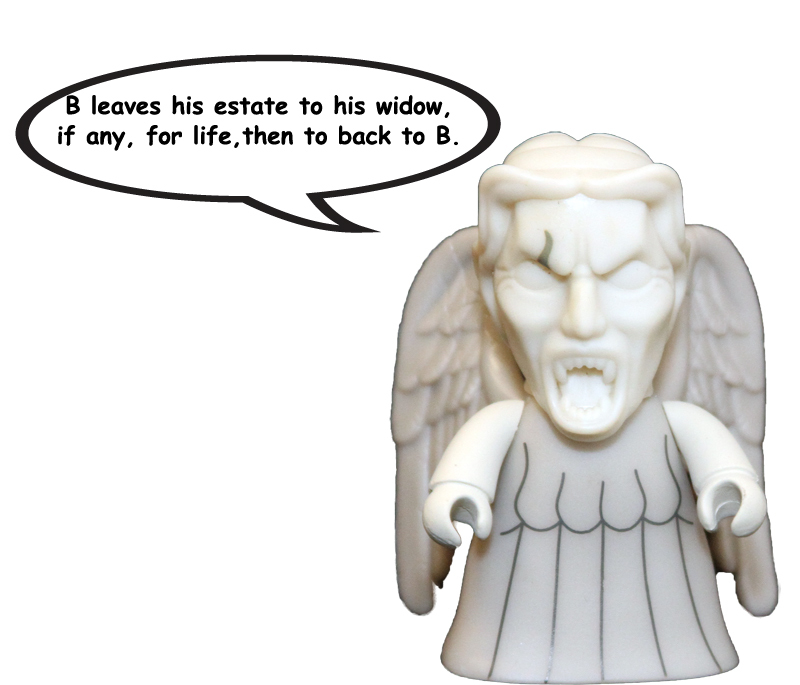 Weeping Angels can make estate planning strange, because someone who is a victim of a Weeping Angel could will themselves property in the future (which could create a paradox or a pre-destination loop). The victim could also leave property for another. This could get into the Rule Against Perpetuities, depending on how far back in time the victim is sent. Do the victims who had Adipose created from their body fat have any paternity rights? Might likely no, because paternity rights cases address children being conceived by human beings. 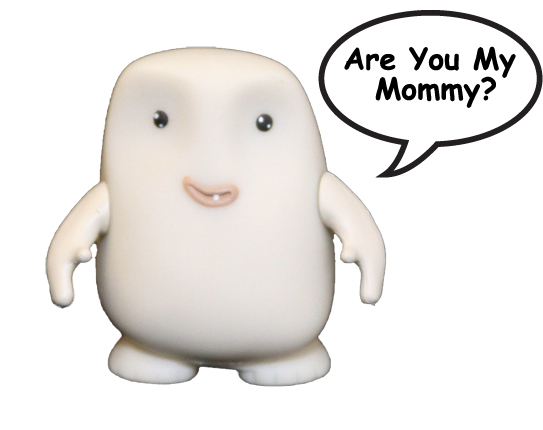 As the Adipose are not human, but made from human body fat, they are not human beings, thus not subject to our paternity laws. See, Cal Fam Code § 7611. Doctor Who has 50 years of legal issues. While few tune in to watch for possible causes of action or crimes to discuss, there is no question Doctor Who has been a great adventure in time and space loved across the planet.